Ring games are poker games played with real chips at stake. Unlike tournament chips, which are worth nothing outside the tournament, ring game chips represent real money. For example, if you buy-in for $10 worth of chips and leave the game with $40, you made a $30 profit. 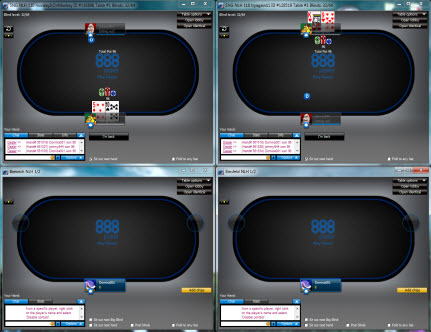 us.888poker offers ring games of Texas Hold'em, Omaha Hi, Omaha Hi/Lo and Seven Card Stud Hi/Lo variations 24 hours a day. Ring games start when 2 or more active players sit down at a table. 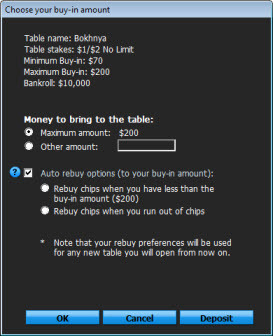 Click the Sit down button in order to join the table. If you would like to switch seats with another player, right click on the preferred seat and click the Sit here option. The table will rotate, and you will be seated in your chosen seat. 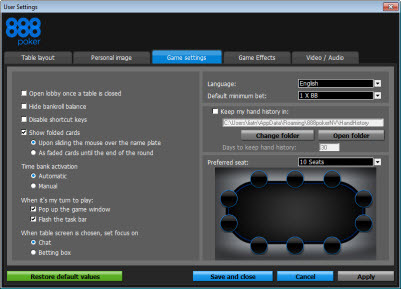 Alternatively, you can choose your preferred seat in the Setting screen (Game settings tab) for any of our tables. Once chosen, you will be seated in your preferred seat at all times. Sometimes a hand passes so fast that you may feel you didn't see everything there was to see (e.g. somebody made a crazy call and you want to go back and see so you can write valuable player notes on that player's betting habits). 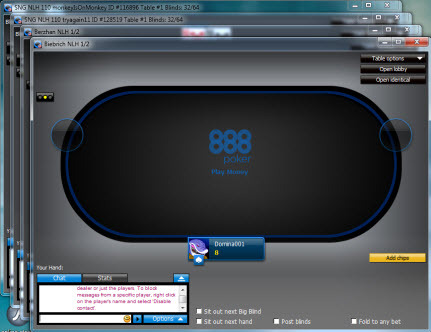 You can view an instant replay of the entire previous hand using the replay button on the top-left corner of the screen.